Joyce Cain grew up in Orange County but was happy to move to northern California to get her bachelor’s degree at U.C. Berkeley. She returned to southern California to attend UCLA, where she received her Master of Arts in Teaching English as a Second Language. 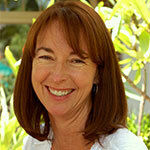 Joyce taught at several community colleges and UCI before coming to Fullerton College in 2005. Elizabeth Gaitatjis received her BA in English at Rutgers University in New Jersey and an MA in Linguistics at Northeastern Illinois University in Chicago. She has taught English and ESL at all levels in the United States and has been at Fullerton College in the ESL Department since 1986. 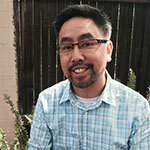 Arthur Hui has been teaching at Fullerton College since 2000. Arthur earned his Bachelor’s Degree in Psychology at the University of California at San Diego, his certificate in Post-secondary reading and learning at Cal State Fullerton, and Master’s Degree in English (TESOL emphasis) at San Francisco State University. In his personal time, he enjoys spending time with his wife and three children. After graduating with a Bachelor’s Degree in English from Calvin College in Grand Rapids, Michigan, Ellen Rosen taught English at a small teacher’s college in northeast China for two years. She then returned to the U.S. and got a Master’s in TESOL from UCLA. 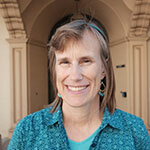 She’s been teaching at Fullerton College since 1991. She’s married and has two grown children and two cats. 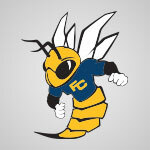 Jefferson Tiangco joined Fullerton College in 2016. He received his Bachelor’s Degree in Business Administration (Accounting) and Master’s Degree in Education (TESOL) from Cal State Fullerton. 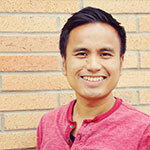 His background also includes extensive experience in educational technology. He grew up in the Philippines and enjoys traveling, taking photos, and learning other languages. 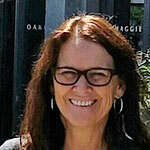 Lindsay Whiting received her Bachelor’s Degree from the University of Leeds, England, and her Master’s Degree from California State University, Fullerton. She first started teaching ESL in Morocco, and since then, has taught in Hawaii, Virginia, and California. She has been teaching at Fullerton College since 2005.